Fact: Gorillaz co-creator JAMIE HEWLETT has been commissioned to create an illustration for an upcoming exhibition at London's British Library. Hewlett, who previously worked on the Tank Girl comic, will provide a piece for the Comics Unmasked: Art and Anarchy in the Uk show which runs from 2 May (14) to 19 August (14). Fact: Blur and Gorillaz star Damon Albarn has signed up to headline a castle festival in Serbia. The singer will front the EXIT Festival in July (14), joining a line-up that includes Disclosure, Rudimental and Skrillex. The event will take place over three days at the Petrovaradin Fortress in Novi Sad. Fact: Gorillaz co-creator JAMIE HEWLETT is teaming up with shoe designers at Converse to launch a special footwear collection to celebrate the 10th anniversary of the band's debut album. The Chuck Taylor All Star sneakers are set to be launched in February, 2012. Quote: "We're working on a song together. We haven’t finished it, but it sounds so dope though." N.E.R.D. 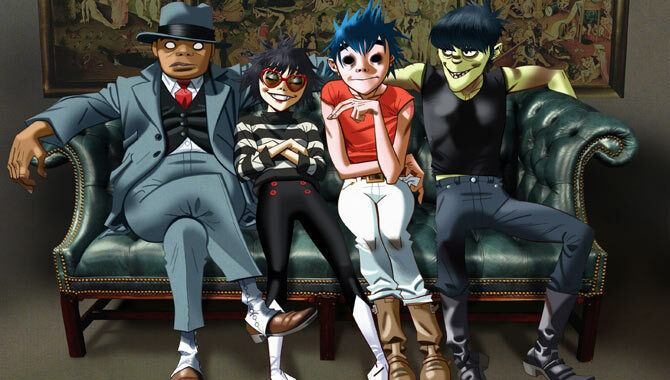 rapper Pharrell Williams reveals to NME.com he has teamed up with British rocker Damon Albarn for a new track rumoured to feature on the Gorillaz's next album. Quote: "It's everything. It's an ongoing search for inspiration. A few days ago I was inspired by a revolving door in a hotel. I was." Gorillaz rocker Damon Albarn's music is influenced by his everyday life. Quote: "I've made it on an iPad - I hope I'll be making the first record on an iPad. Which is ironic, being the sort of technophobe and Luddite that I am. But I fell in love with my iPad as soon as I got it, so I've made a completely different kind of record." Damon Albarn is embracing new technologies for his next Gorillaz album. Quote: "We have a young lad called Jeff who funnily enough is in Liam's new band. I just thought that was quite funny." 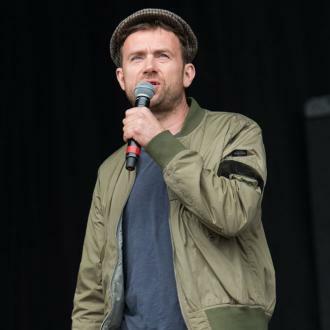 Former Blur frontman Damon Albarn has recruited a member of Liam Gallagher's new band to play with Gorillaz. Gallagher previously fronted Blur's arch-rivals Oasis. 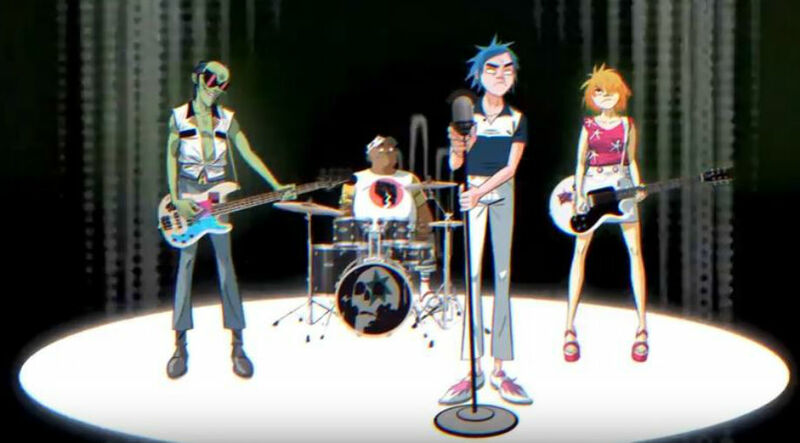 Quote: Gorillaz have announced their first U.K. gigs in five years. 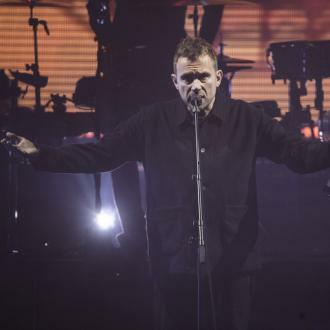 The British band, led by former Blur frontman Damon Albarn, will play at London's Roundhouse on 29 and 30 April (30), with guest spots from De La Soul and Shaun Ryder. Fact: Bruce Willis plays a no-nonsense bounty hunter in the new Gorillaz video for Stylo. Fact: After his concerts in London last month (Nov08), Kanye West unwound by playing a game of Connect 4 with Gorillaz creator and Blur frontman Damon Albarn. 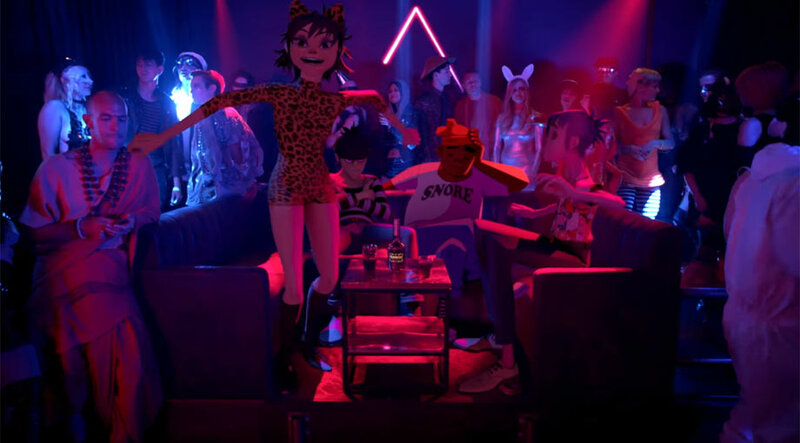 Fact: Gorillaz founders Damon Albarn and JAMIE HEWLETT have reteamed to create an animated clip promoting BBC coverage of the Beijing Summer Olympics. The video is inspired by Albarn's new opera, Monkey: Journey to the West, which is based on a classic Chinese novel. 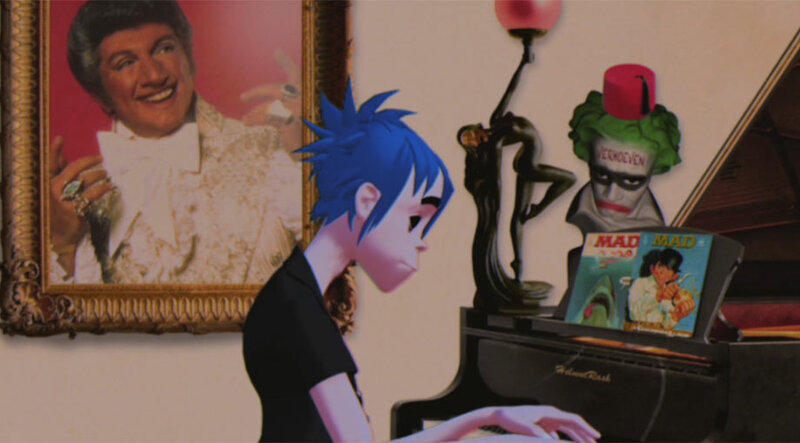 Fact: An opera penned by Gorillaz star Damon Albarn opens on Wednesday evening (27Jun07) as part of the Manchester International Festival in England. 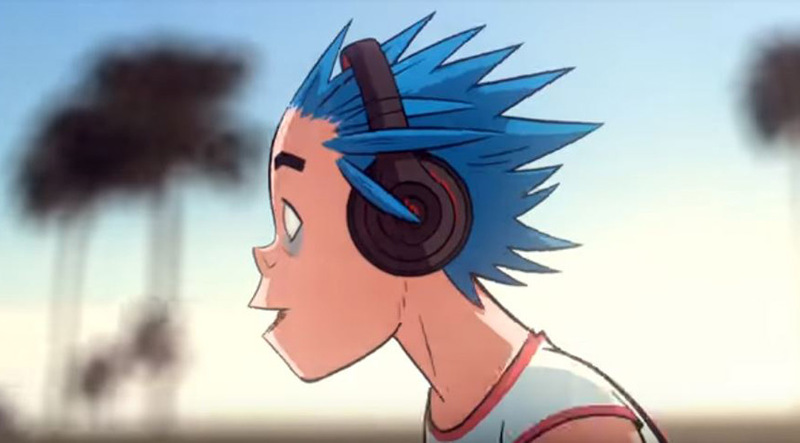 Monkey: Journey To The West, which is based on the legendary tale of the Chinese Monkey, features a set designed by his Gorillaz collaborator and artist Jamie Hewlitt. 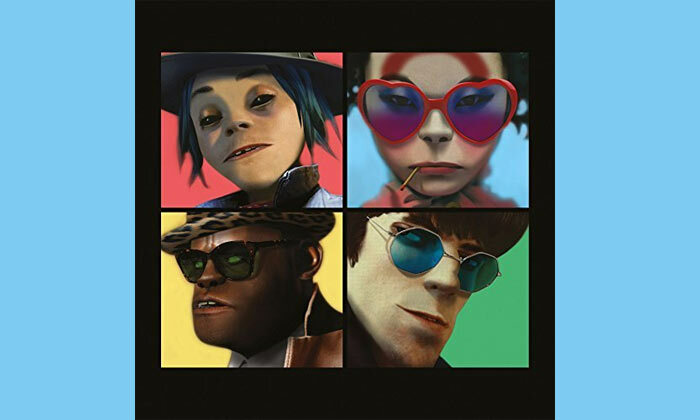 Fact: Former Blur and Gorillaz star Damon Albarn recently spent three days in Algiers producing local group EL GUSTO's new album. The project will be released on his own Honest Jon record label next year (07). Fact: Gorillaz originator Damon Albarn will support improved musical education in Africa by performing a rare DJ set at London club Fabric on Thursday (16NOV06). Other DJs on the bill include Fatboy Slim and ARTHUR BAKER. 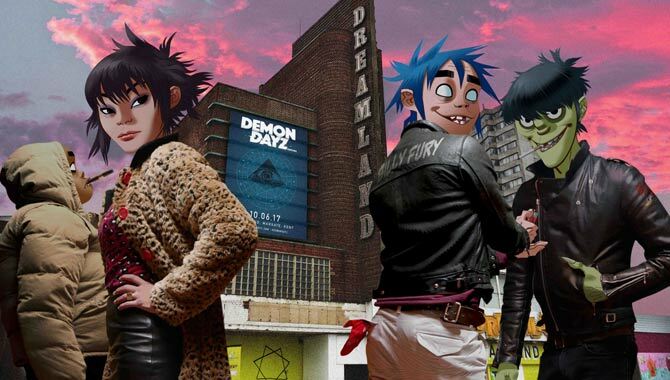 Fact: Gorillaz star JAMIE HEWLETT has created a massive public mural of the cartoon group at London's Royal Festival Hall and South Bank Centre. The piece will be on display until February (07). Quote: "I'd rather poo in my mum's Sunday roast than have Danger Mouse produce a PORTISHEAD record. No offence." PORTISHEAD star GEOFF BARROW rejects the help of the Gnarls Barkley and Gorillaz producer on the band's third album.